Jalpah is an One-on-One Chat & Play (Messaging & Gaming) App, with absolute privacy. Free. Chat and play using your mobile internet (WiFi, 3G, 4G, LTE, 5G) with your friend, anywhere in the world. 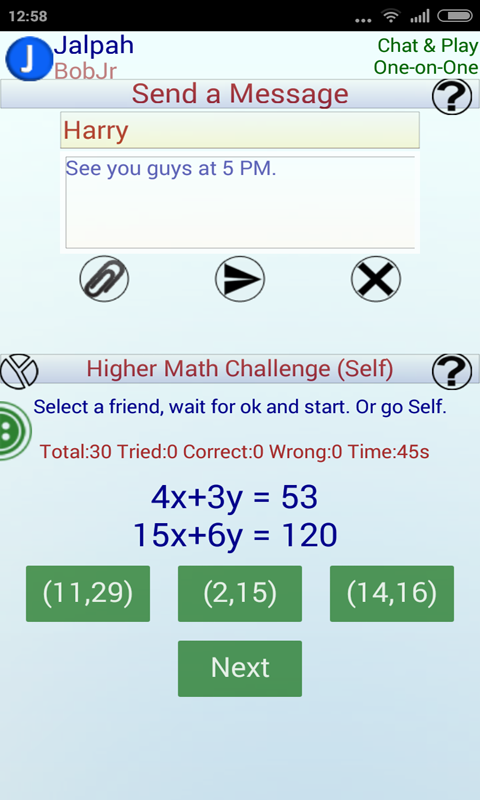 Chat with friends and invite them for a board game (3 Board Games and 2 Math Challenges). 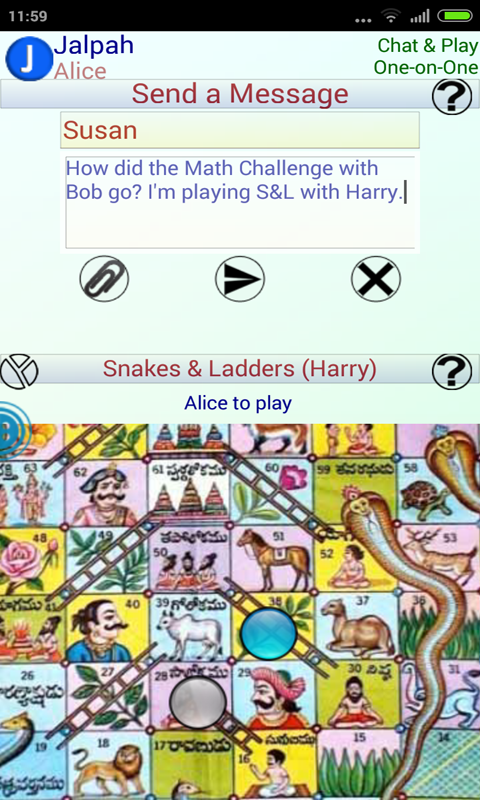 Play Tic-Tac-Toe, Snakes & Ladders (Indian board) or Draughts (Checkers). 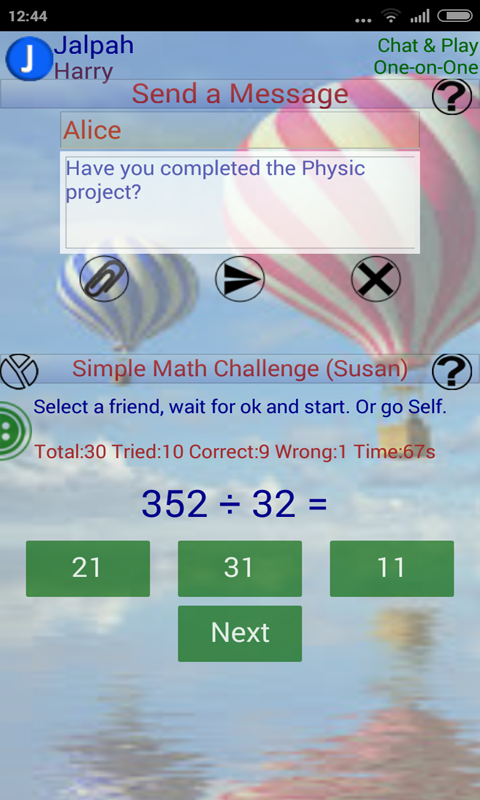 Simple Math and Higher Math Challenges available, for students to hone math skills. Send a photo, voice, file or a doodle as attachments to friends, in real-time. Choose a name for yourself in Jalpah (Full / Short / Nick Name) and move on. Connect instantly with friends using your Jalpah name. No phone number or email ID required. No personal information is collected. WiFi, 3G or better data connection is required. 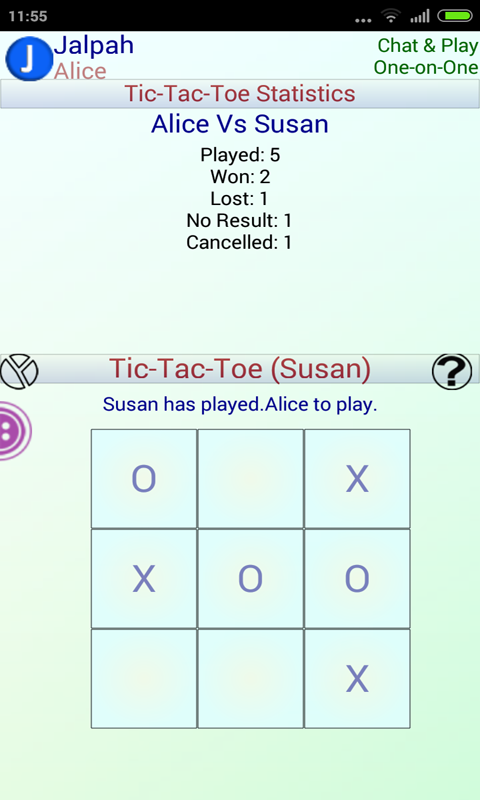 Chat/Play one on one, with your friend anywhere in the world. Jalpah is a private, fun-filled, Messaging and Gaming App.